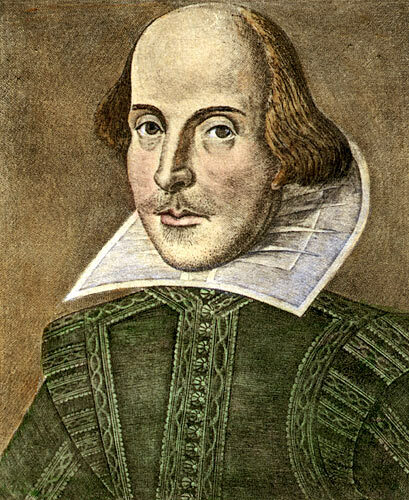 Who Wrote Shakespeare's Plays? Debate Goes On Centuries later, doubts persist that William Shakespeare penned the works that bear his name. Skeptics include not only scholars but also famous folks, ranging from Orson Welles to Mark Twain. Doubts persist that William Shakespeare wrote the works that bear his name. 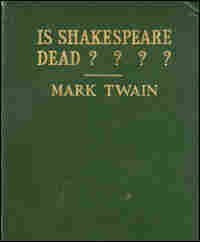 Read Mark Twain's pamphlet debunking the Bard. In the mid-1800s, Americans were so enthused about William Shakespeare that a rivalry between the two foremost Shakespearean actors led to a riot. Well, there's something that makes modern-day scholars of Shakespeare want to riot: when anyone questions whether the man from Stratford-upon-Avon really wrote the works that bear his name. It drives scholars mad. Still, a host of brilliant minds have done just that: Sigmund Freud, Charles Dickens and Orson Welles are among those who didn't believe that Shakespeare penned those famous plays. Shakespeare skeptics need look no further than Holy Trinity Church in Stratford, England, where he was buried in 1616.
and cursed be he, who moves my bones." The epitaph is a small piece of what doubters say is a mountain of biographical material suggesting Shakespeare wasn't a writer. "We have been able to discover, over many generations, about 70 documents that are related to William Shakespeare of Stratford-upon-Avon, but none of them are literary," says Daniel Wright, an English professor who directs the Shakespeare Authorship Research Center at Oregon's Concordia University. "They all speak to the activity of a man who is principally a businessman; a man who is delinquent in paying his taxes; who was cited for hoarding grain during a famine," Wright adds. "We don't have anyone attesting to him as a playwright, as a poet. And he's the only presumed writer of his time for whom there is no contemporary evidence of a writing career. And many of us find that rather astonishing." There are playbills that show Shakespeare appearing as an actor in small parts and legal documents relating to his stake in the Globe Theater. He left a will distributing his precious possessions, including, famously, his second-best bed. But there's no record that this Shakespeare owned any books, wrote any letters, and the half-dozen signatures attributed to him are on legal documents only. To link any writer conclusively to the plays, Price argues, "we would certainly have to be able to support how he learned his languages, how he received his education, how he gained his exposure to the lifestyle of the rich and famous, how he had access to the court. And I don't mean as a servant in the court, but someone who actually was in there when the power-playing was going on. We cannot support any of that for Shakespeare." Mainstream academics mostly deride efforts of independent scholars like Price. 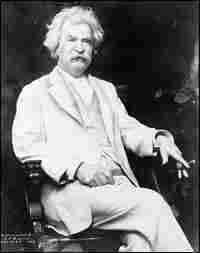 It's a tad bit harder to shrug off challenges put — with great wit — by the likes of Mark Twain. The American humorist never could reconcile what was known about the man from Stratford with the writer who penned "such stuff as dreams are made on." "It is surmised by the biographers that the young Shakespeare got his vast knowledge of the law and his familiar and accurate acquaintance with the manners and customs and shop-talk of lawyers through being for a time the CLERK OF A STRATFORD COURT: just as a bright lad like me, reared in a village on the banks of the Mississippi, might become perfect in knowledge of the Behring Strait whale-fishery and the shop-talk of the veteran exercisers of that adventure-bristling trade through catching catfish with a 'trot-line' Sundays." Stephen Greenblatt, a professor at Harvard and author of the best-selling biography of the Bard, Will in the World, is one of America's most esteemed Shakespeare scholars. "Like most scholars, I think it's reasonably clear that the man from Stratford wrote the plays," he says. "But it's certainly a subject that doesn't go away. He does seem like he did drop in from another planet. The level of achievement is remarkable." Remarkable, says Greenblatt, but possible, even for a village lad if he were a genius. Greenblatt has little use for those who question the authorship of Shakespeare's works and compares doubters to Holocaust deniers and those who don't believe in evolution. He says the most powerful evidence of authorship is the simplest: that the name William Shakespeare appeared on some of the plays published during his lifetime. "It's nothing that gives you the kind of certainty that can never be called into question," Greenblatt says. "Anything can be called into question. But you'd have to have a very strong reason to believe that there was skullduggery or an alternative account. "It's true ... that there are no manuscripts and no letters, but we're talking about something a very long time ago." Shakespeare pronounced Venus and Adonis "the first heir of his invention," apparently implying that it was his first effort at literary composition. He should not have said it. It has been an embarrassment to his historians these many, many years. They have to make him write that graceful and polished and flawless and beautiful poem before he escaped from Stratford and his family- 1586 or '87- age, twenty-two, or along there; because within the next five years he wrote five great plays, and could not have found time to write another line. It is sorely embarrassing. If he began to slaughter calves, and poach deer, and rollick around, and learn English, at the earliest likely moment- say at thirteen, when he was supposably wrenched from that school where he was supposably storing up Latin for future literary use- he had his youthful hands full, and much more than full. He must have had to put aside his Warwickshire dialect, which wouldn't be understood in London, and study English very hard. Very hard indeed; incredibly hard, almost, if the result of that labor was to be the smooth and rounded and flexible and letter- perfect English of the Venus and Adonis in the space of ten years; and at the same time learn great and fine and unsurpassable literary form. However it is "conjectured" that he accomplished all this and more, much more: learned law and its intricacies; and the complex procedure of the law courts; and all about soldiering, and sailoring, and the manners and customs and ways of royal courts and aristocratic society; and likewise accumulated in his one head every kind of knowledge the learned then possessed, and every kind of humble knowledge possessed by the lowly and the ignorant; and added thereto a wider and more intimate knowledge of the world's great literatures, ancient and modern, than was possessed by any other man of his time- for he was going to make brilliant and easy and admiration-compelling use of these splendid treasures the moment he got to London. And according to the surmisers, that is what he did. Yes, although there was no one in Stratford able to teach him these things, and no library in the little village to dig them out of. His father could not read, and even the surmisers surmise that he did not keep a library. 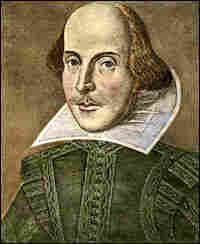 It is surmised by the biographers that the young Shakespeare got his vast knowledge of the law and his familiar and accurate acquaintance with the manners and customs and shop-talk of lawyers through being for a time the CLERK OF A STRATFORD COURT: just as a bright lad like me, reared in a village on the banks of the Mississippi, might become perfect in knowledge of the Behring Strait whale-fishery and the shop-talk of the veteran exercisers of that adventure- bristling trade through catching catfish with a "trot-line" Sundays. But the surmise is damaged by the fact that there is no evidence- and not even tradition- that the young Shakespeare was ever clerk of a law court. It is further surmised that the young Shakespeare accumulated his law-treasures in the first years of his sojourn in London, through "amusing himself" by learning book-law in his garret and by picking up lawyer-talk and the rest of it through loitering about the law-courts and listening. But it is only surmise; there is no EVIDENCE that he ever did either of those things. They are merely a couple of chunks of plaster of paris. There is a legend that he got his bread and butter by holding horses in front of the London theatres, mornings and afternoons. Maybe he did. If he did, it seriously shortened his law- study hours and his recreation- time in the courts. In those very days he was writing great plays, and needed all the time he could get. The horse-holding legend ought to be strangled; it too formidably increases the historian's difficulty in accounting for the young Shakespeare's erudition- an erudition which he was acquiring, hunk by hunk and chunk by chunk every day in those strenuous times, and emptying each day's catch into next day's imperishable drama. He had to acquire a knowledge of war at the same time; and a knowledge of soldier-people and sailor people and their ways and talk; also a knowledge of some foreign lands and their languages: for he was daily emptying fluent streams of these various knowledges, too, into his dramas. How did he acquire these rich assets? In the usual way: by surmise. It is SURMISED that he traveled in Italy and Germany and around, and qualified himself to put their scenic and social aspects upon paper; that he perfected himself in French, Italian and Spanish on the road; that he went in Leicester's expedition to the Low Countries, as soldier or sutler or something, for several months or years- or whatever length of time a surmiser needs in his business- and thus became familiar with soldiership and soldier- ways and soldier-talk, and generalship and general- ways and general-talk, and seamanship and sailor- ways and sailor talk. Maybe he did all these things, but I would like to know who held the horses in the meantime; and who studied the books in the garret; and who frolicked in the law-courts for recreation. Also, who did the call-boying and the play-acting. For he became a call-boy; and as early as '93 he became a "vagabond" – the law's ungentle term for an unlisted actor; and in '94 a "regular" and properly and officially listed member of that (in those days) lightly-valued and not much respected profession. Good friend for Iesus sake forbeare to digg the dust encloased heare: Blest be ye man yt spares thes stones And curst be he yt moves my bones. He was probably dead when he wrote it. Still, this is only conjecture. We have only circumstantial evidence. Internal evidence. Shall I set down the rest of the Conjectures which constitute the giant Biography of William Shakespeare? It would strain the Unabridged Dictionary to hold them. He is Brontosaur: nine bones and six hundred barrels of plaster of paris. Excerpted from Is Shakespeare Dead? by Mark Twain, 1909.